3. Its got a super thick layer of gloriously decadent cream cheese icing. The best icing a cake can be smothered in. 4. Carrot cake has rather a illustrious history. According to the World Carrot Museum (surely up there with the Lawnmower and Pencil Museums as front-runners for the title of the quirkiest museum in Great Britain) the Carrot Cake is likely to have descended from Medieval carrot puddings, when carrots were used instead of sugar to add sweetness. During the first and second world wars, rationing of sugar again led to carrots being used as sweeteners in cakes. 5. It tastes really good. But I may have already mentioned that. You absolutely cannot say enough times how good a cake is, especially one like this. It looks perfect, just what I would like to have for my pudding today. Alas, I am in the middle of packing so today won't be the day for carrot cake. I love carrot cake especially when served with a generous layer of cream cheese frosting. Please send me a slice as yours looks irresistible! Oh this looks gooooood. 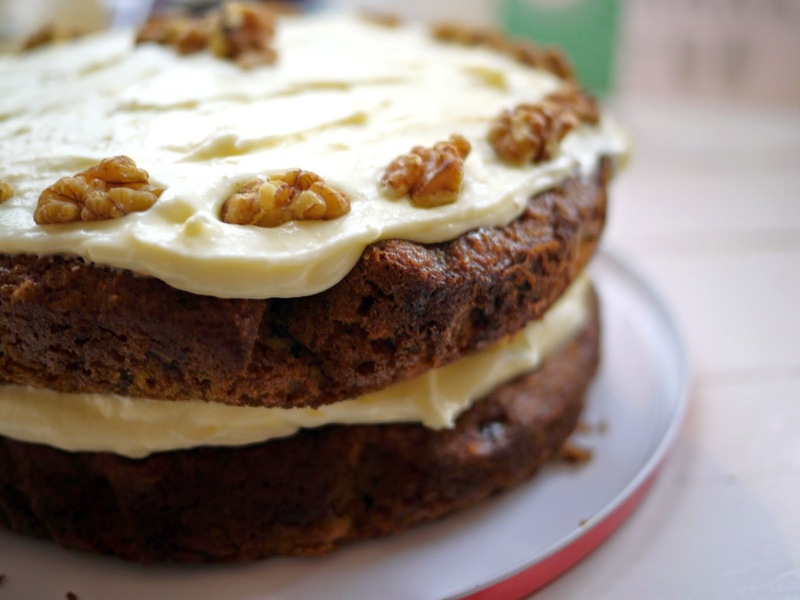 I haven't tried a carrot cake with sultanas before so I'll need to try this recipe. Also love that there's a World Carrot Museum!! Sometimes the classic cakes are the best, I can definitely see why this is one of the nations favourite, yum! I really want to eat this cake. I'm trying to persuade myself that it's vegetables. By the way, I've been to both the lawnmower and the pencil museum. I'm not sure what that says about me. 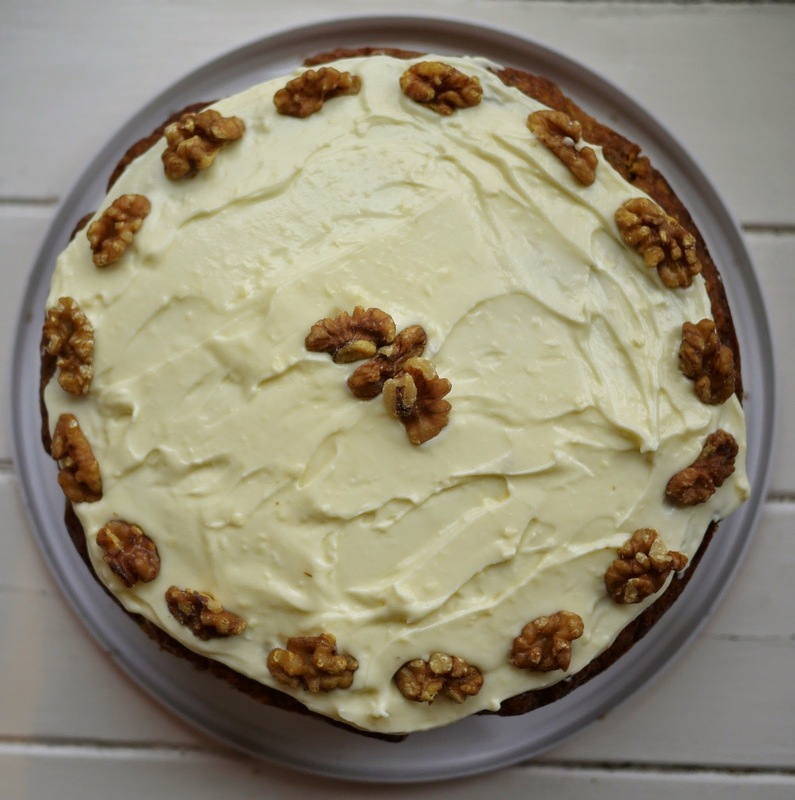 Carrot cake with cream cheese topping is one of my all time favourites, but I love this one with its variation of sultanas and walnuts. Wow, that carrot cake really looks delicious. I definitely have to try your recipe. Hopefully, my carrot cake will look that beautiful too. Thank you so much for sharing the recipe! You had me at carrot cake! When I saw it included coconut...even better!